Rabbi Yoel Schwartz, head of the Sanhedrin’s Noahide Court and of the Dvar Yerushalayim Yeshiva, stated that one of the reasons the Messiah has yet to reveal himself is because the non-Jewish nations are not keeping the Sabbath. The rabbi has put out a call for the nations to keep the Sabbath and for the Jews to help them in this mission. The rabbi stated that the Jews were given the Torah in order to teach it to the nations. Rabbi Schwartz explained that many of the problems facing the world today are due to not recognizing the Sabbath. The rabbi went on to explain that the Sabbath,observed on its proper day and in the proper manner, is a weekly affirmation of God creating the world. Despite a seven-day week being universally observed throughout all cultures, both Islam and Christianity changed the specific day of the Sabbath. Rabbi Schwartz based his call for non-Jews to keep the Sabbath on a simple reading of the Bible in conjunction with a close reading of the Ten Commandments. He first cited the Talmud (Shabbat 118b) which states, “Were Israel to keep two Sabbaths as commanded, they would be immediately redeemed.” He explained that the simple reading implies two Sabbaths in a row establishing a level of regular observance. The rabbi also explained that an alternative reading might be two different Sabbaths: one of ‘remembering the Sabbath’, what the rabbi calls a ‘universal Sabbath’, and another of ‘observing the Sabbath’, what the rabbi calls a Sabbath for the Jews. He explained that these are two different aspects of the Sabbath described in the Ten Commandments. The Ten Commandments are listed twice in the Bible but there is a subtle difference between how the Sabbath is related to in each of these separate listings. “The commandment in Deuteronomy on the tablets written by Moses was a message specifically for the Jews to ‘observe’ the Sabbath,” Rabbi Schwartz said, noting that it was followed by a description of God taking the Jews out of Egypt. In Halacha, the two different verbs relating to the Sabbath in the Ten Commandments denote two different ways to relate to the obligation of the Sabbath: ‘to remember’ refers to the positive commandments of keeping the Sabbath and ‘to observe’ relates to the negative commandments of refraining from labor or acts that are restricted on the Sabbath. 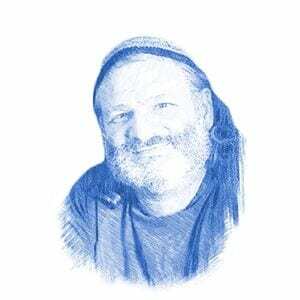 “By not instructing the nations in their requirement to ‘remember the Sabbath’, by actually preventing them from taking part in the Sabbath, the Jews have prevented the full light of Moshiach (Messiah) from being revealed in the world,” Rabbi Schwartz said. Rabbi Schwartz explained that these two different versions of the Sabbath commandment generate two different types of Sabbaths; one for Jews and one for the nations. The Jews are required to both ‘remember’ and ‘observe’, performing the positive commandments as well as refraining from the 39 forbidden forms of labor. The positive mitzvah of remembering the Sabbath is encompassed in reciting kiddush (sanctifying) the Sabbath, usually performed over a glass of wine. He also recommended that non-Jews light two candles to bring in the Sabbath. This is typically performed by women. The rabbi ruled that if a non-Jew does so for the Sabbath at the proper time and day, a blessing including the name of God may be recited. The rabbi also recommended that the sanctity of the Sabbath is enhanced by two meals, one on Friday evening and the other on Saturday afternoon, that include bread, preferably eaten as a family. The rabbi also recommended that the meal be accompanied by joyous singing at the table. “It is not a coincidence that in this era when people are not keeping the Sabbath, even erring in which day is the Sabbath, that families are falling apart,” Rabbi Schwartz said. Rabbi Schwartz’s statement that non-Jews should keep the Sabbath is the opposite of many Halachic (Torah law) authorities who rule that it is forbidden for non-Jews to keep the Sabbath. 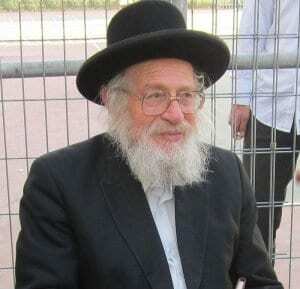 “When the Halacha states that it is forbidden for a non-Jew to keep the Sabbath, it is referring to a non-Jew that does not keep the Noahide laws,” he explained, citing a ruling by Rabbi Moses Schreiber, a leading Halachic authority from the nineteenth century known as the Chatam Sofer. This opinion was upheld by Rabbi Yisrael Meir Kagan in the Mishna Berura (Section 304) in the 20th century. “But a non-Jew who has accepted upon himself to keep the Noahide laws is permitted to keep the Sabbath,” the rabbi concluded. It should be noted that Rabbi Schwartz is highly respected in the Haredi (ultra-Orthodox) world as well as in Israeli society at large. In addition to his qualifications listed above, Rabbi Schwartz has authored over 200 books and was awarded the Moskowitz prize in Jerusalem. His Halachic opinions are unimpeachable. Nonetheless, the rabbi understands that his statements will not be accepted by many, both in the Jewish world as well as the non-Jewish world. The rabbi cited Psalm 126. “It may be that by seeing how the other nations come to value the Sabbath, many Jews will also do tshuva and learn how precious is this gift that Hashem gave us,” Rabbi Schwartz said. The rabbi noted that on Yom Kippur, the holiest day of the year, Jews read the Book of Jonah.